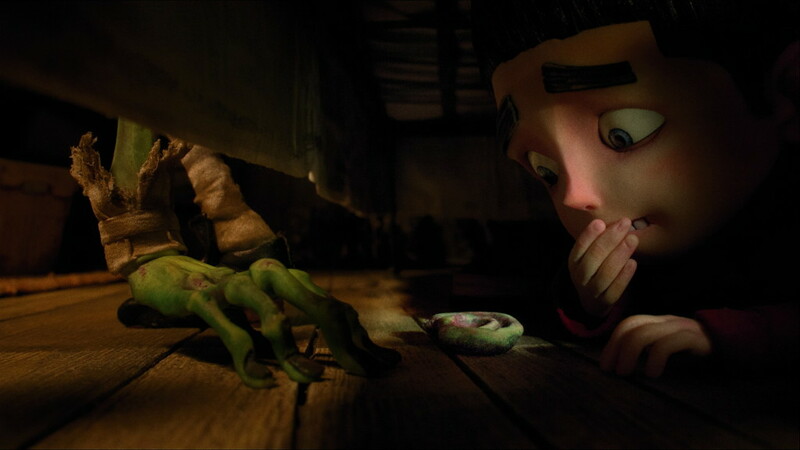 “ParaNorman” was another one of those films that I didn’t have high hopes for mostly because the stop-motion animation market has become over-saturated with studios trying to replicate the success of Tim Burton or Aaron Aardman. On top of that, this is being brought to us by Focus Features, the studio that also distributed the over-hyped 3D animated film “9”. However, this is coming from the same animation studio behind “Coraline,” so it was all up in the air for me. In the end, this film turned out to be something more of along the lines of a DreamWorks homage to the horror film genre combined with the character development seen in “Coraline” but taking those elements a step further. The film is set in the small town of Blithe Hollow, known for its famous witch trial and witch-related merchandise. Our main character is a boy named Norman, voiced by Kodi Smit-McPhee, who has the ability to see and speak with ghosts. Since he’s the only one with the ability, naturally the townspeople are wary of him and dismiss his ability as a cry for attention or severe case of psychosis. He is later informed by the ghost of his uncle, played by John Goodman, that he must be the one to stop a curse placed upon the town by the witch who was executed by the town’s Puritan settlers. While the beginning of the story is much like what you’ve seen in the trailer, there are moments that weren’t in the trailer that make the story more than just a gimmick. It spends a great deal of time exploring the emotions of the characters involved while still keeping it humorous. There are some jokes that really surprised me since they were the kind that took a lot of guts to put into the script. It’s not that they were vulgar just surprising and clever, not like what you would find in your average animated family film. During the second and third acts the story becomes really intense, with a genuine blend of gripping drama and chilling horror. It’s during this part of the film where it really pulls you in as you get heavily invested in the story. Although I can’t say much without spoiling it, the climax of this film is one of the most intense climaxes I’ve ever seen in a movie, especially a stop-motion animated family film. Overall, this is an incredible film that surpassed my initial expectations in spades. The jokes are a nice balance of mild crudeness and clever subtlety with some jokes that make you do a double-take after you hear them. It’s layered with simple, yet engaging drama and some genuinely spooky moments. It’s definitely a family film in every sense of the word. I only wish that studios would release films like this around Halloween instead of in August. On my personal scale, I give “ParaNorman” a 5/5.